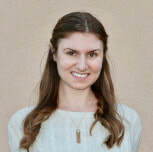 ​Alissa Wolters is a Ph.D. student specializing in Language, Literacy, and Technology (LLT) at the School of Education at the University of California, Irvine. Before this, she earned a History, B.A. from UC Santa Barbara and an Applied Linguistics w/ TESOL, M.A. from CSU Long Beach. While in her master's program, Alissa focused on second language acquisition, teaching methodology, assessment, and material creation for TESOL. She also pursued the preservation of under-described languages and was trained in descriptive linguistics, including phonology, morphology, and syntax for fieldwork. In her spare time, she took Spanish literature and single subject courses and worked as an English instructor with both international students and underserved youth. At the School of Education at UC Irvine, Alissa researches literacy development under her advisor, Dr. Young-suk Kim. In addition to helping create strategies to improve traditional reading and writing instruction, Alissa is also interested whether technology, such as language learning apps and online synchronous collaborative writing, enhances language skills. Alissa hopes to one day work as a university professor.